Clubhouse Collectibles: The only time you’ll buy broken, faded, used, torn and dirty items at a higher cost than if they were new and never touched! Due to the overwhelming popularity of this blog since I started it a few months ago, I’ve had so many request to drop people’s names in it. A couple of weeks ago, when the Tribe was playing in Los Angeles, my cousin (who lives in LA and was going to the game) asked if I could include his name in it. I had to quickly explain to Marty that this blog is for business purposes only–to promote to the world how the Cleveland Indians are helping the community through volunteer efforts, fundraising, appearances and the like. It is not to be used to plug the DeLaat family name. So I’m sorry, Marty DeLaat, but I will not be allowed to mention your name in this blog per MLB’s rules. I am suddenly reminded of a crazy cousin of mine who, growing up, used to take the RTA down to then Jacobs Field during Indians games and get a bunch of autographs from the players. Being the business savvy kid that he was, he would then go on and sell a lot of those autographs to help keep his cash flow going. It was a great idea, completely legal, and kept him out of trouble. Cleveland Indians Charities does a similar version of what my cousin used to do; however, we take a slightly different approach with it. 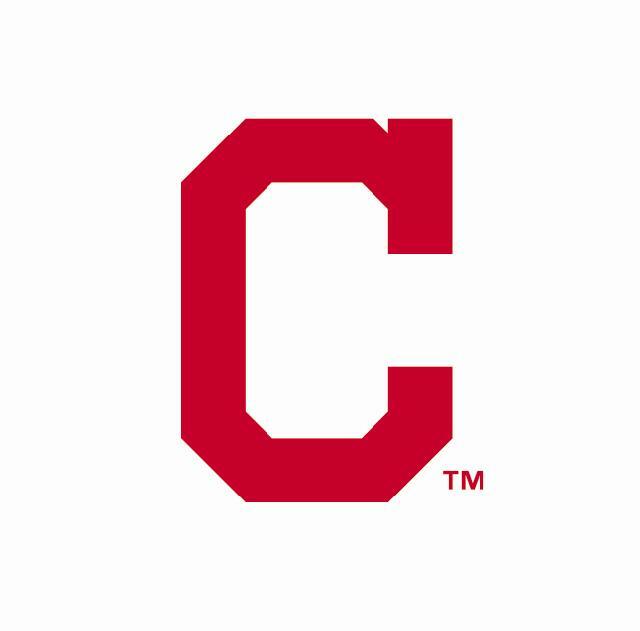 For one, all of the money made from sales goes straight to Cleveland Indians Charities. We also get the items from the Indians Clubhouse, so they are authentic items (most were actually worn/used by the players) and not replicas. 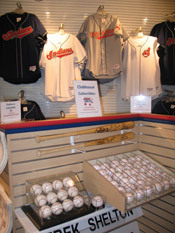 We call these items Clubhouse Collectibles and they are sold in our Progressive Field Team Shop. Not all of the items are autographed, but we sell anything from bats (broken or just used), signed player photos, old player jerseys, signed baseballs, helmets, etc. So the next time you come to a game, or are in the Cleveland area and are looking for some cool team issued/team used memorabilia, swing into the Team Shop and check out the Clubhouse Collectibles. Or, if my cousin from California is back in town you can just buy something off of him. We’d prefer you go through us, though! Last night, I watched the 2001 hit movie, “Rock Star” which stars Mark Wahlberg and Jennifer Aniston. If you’ve never watched it (or heard of it), I recommend it. The movie itself is very cheesy, but it is entertaining nonetheless. The general plot of the movie is a normal guy who is the lead singer of a tribute band becomes lead singer of the real band he idolizes. One of the best lines of the movie comes when Wahlberg takes the stage for the first time and says to the crowd, “You know, I’m just a regular guy who grew up with the posters of these guys on my wall… and now I’m one of them! That’s right, I’m standing here, living proof that if you work hard enough, and you want it bad enough… dreams do come true. So follow your dreams…” (Okay, that may not have been the best line, but for the purpose of a heart-warming blog entry it was). 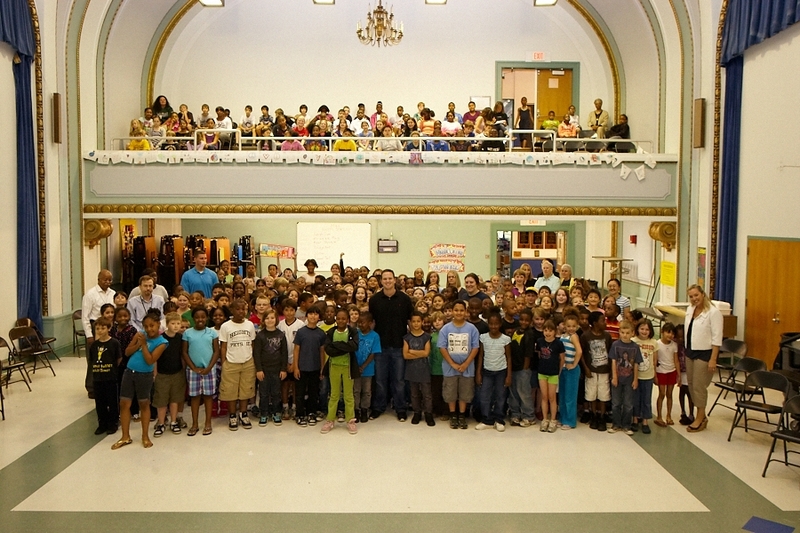 Vinnie Pestano, to Roxboro Elementary School in Cleveland Heights. Vinnie was nice enough to stop by the school and talk to the kids (grades 2-5) about anything and everything. He talked to them about how he got to where he is today, the importance of a good education, and even covered a little bit about how to deal with bullying in school. When you talk to Vinnie, he is just a regular guy who loves to play baseball. Growing up, he probably had posters of his favorite players on his bedroom walls and dreamed of being in the big leagues and now he is here–playing for a major league baseball team. To those kids he was talking to he was their living proof that if you work hard enough, and want it bad enough…dreams do come true. Then again, they may not have been paying attention to him at all and his whole speech could have gone in one ear and out the other. I can’t say for sure, but thank you to Vinnie for being there anyway! The beginning of June is finally here. After months of dealing with crazy Cleveland weather where it is 90 degrees one day and 40 degrees the next, we are officially free from cold weather for at least a month! Heck, I can’t even remember what a Nimbostratus cloud looks like! To the lay-person, Nimbostratus clouds are low-lying clouds that produce rain, ice and/or snow. With June also comes the final days of school for many kids. Seniors in high school have their last summer at home to look forward to before opening up the next chapter of their life in college. Seniors in college have their last summer of freedom before they have to get a job and live in the real world–although, the way the job outlook is, they may have a couple of years of freedom before finding a job! June 8: Fill the House for Charity benefiting Berea Children’s Home. Portions of ticket sales from the June 8 game will go directly to Berea Children’s Home! June 17: Indians in the Community event: Members of the Indians front office and some players will help serve lunch at La Sagrad Church. June 18: MLB Pitch, Hit and Run competition at Progressive Field. Local Pitch, Hit and Run winners square off to decide who will be the champion and move on to the Finals held at the 2011 All-Star Game in Arizona! June 19: Cleveland Indians Charities “Play Catch” fundraiser. Fans can buy tickets to “Play Catch” on the field with their dad after the game. All proceeds go to Cleveland Indians Charities. June 21: PLAY Clinic. 40 local youth are invited down to Progressive Field to participate in the clinic. The clinic is put on by the Cleveland Indians trainers. June 22: Fill the House for Charity benefiting Special Olympics. Portions of ticket sales from the June 22 game go directly to Special Olympics!